For more details on the programme and RSVP, please click here. Please refer here for the programme. This event is pending accreditation of 2 CME points from Singapore Medical Council (SMC). RSVP now via https://www.gevme.com/the-launch-of-national-neonatal-jaundice-guidelines or 6593 7873. SiPPAC 2018 Abstracts - Submission is closed. Thank you for your submissions. For more information on Day Congress and Congress Dinner, please click here. The results of election is now available. Please click here for more information. At the close of the nomination deadline, the Council received and accepted nominations from five (5) Fellows for election as Elected Council member for the term 2018-2020. As there are only four (4) positions for the Elected Council, a postal ballot shall be conducted for Fellows of the College of Paediatrics and Child Health, Singapore to cast their votes. Note: The ballot cards have been mailed out. To view more, please click on the title above. Note: Registration and refreshments would start at 1:30 PM. At the close of the nomination deadline, the 3 nominations for the post of Elected Council members for the term 2017-2019 were received. As the number of nominations received equals to the number of vacancies, those nominated will be declared duly elected at the 13th AGM on 6 May 2017. 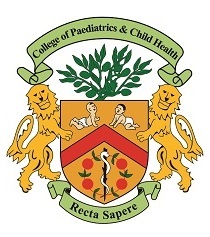 The College of Paediatrics and Child Health, Singapore is now conducting a Call for Nomination for Council Members (Term 2017 – 2019). Nominations are now invited to fill the three (3) seats to be vacated by the retiring Councillors. The completed nomination form should reach us by Thursday, 9 February 2017 at 6:00 pm sharp. The Chapter of Neonatologists is now conducting a Call for Nomination for the post of Chairman (Term 2017 – 2019). Nominations are now invited to fill the one (1) seat to be vacated by the retiring Chairman. The completed nomination form should reach us by Wednesday, 8 February 2017 at 6:00 pm sharp.